Dr. Castillo and his team have seen the massive benefits of regenerative medicine, particularly in stem cell therapy. Dr. Castillo provides stem cell therapy to patients suffering from degenerative diseases, muscular injuries, or simply fighting the symptoms of aging will definitely appreciate. Call Dr. Castillo at 602.242.9891 to speak about scheduling your stem cell therapy today! What can I expect after stem cell therapy? Stem Cell therapy requires very minimal aftercare. After receiving stem cell treatment, patients can resume typical daily activities right after their procedure! In most cases, dressings are only needed for the 24 hours after treatment. Both current and emerging regenerative medicine utilizes stem cells to produce live, healthy tissues that help repair cells damaged by disease, age, or genetic abnormalities. Stem cells are able to target areas of damage and promote the regeneration of tissue cells by triggering the body’s natural repair processes and restoring tissue function. 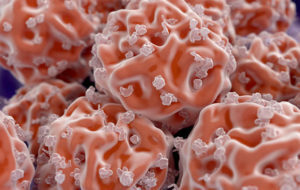 Regenerative medicine carries the possibility of curing many health issues that would otherwise be chronic or terminal. Stem cell therapies offer hope for helping medical science better understand and treat a wide array of diseases, disorders, injuries, and other health problems. The power of stem cell therapy is evidenced by the fact that stem cells derived from blood can help treat blood diseases, a treatment method that has been used to save thousands of children suffering from leukemia. It is also seen in related treatments for tissue grafts and injuries or diseases of the eyes, bones, and skin. Important studies regarding stem cells are in progress for numerous other health issues, and researchers are continuing to investigate new medical uses for these types of therapies.